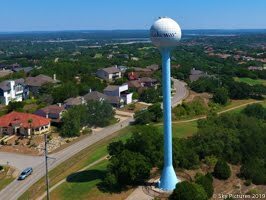 Lakeway Update: Some Rain, ZAPCO, A Question and More! Some Rain, ZAPCO, A Question and More! Well, here we are on Saturday and we are finally getting a little rain. We are already considered "dry" for the year because there has been little rain, especially in March. So far about a half inch today, the weather forecast says maybe a little more. You can check the rain totals at my weather station. It's been a little intermittent because Weather Undergound is doing upgrades on their equipment. ZAPCO met in regular session Wednesday, April 3rd. Here is that agenda. 5) Annexation request was postponed. 6) Final Plat was postponed. 8) Short Term Rental SUP at 219 Corinthian Dr. Passed Unanimously - this location had their permit revoked a year ago because of parking and noise issues. Question: Who knows why a SUP is required for a medical center near a school? What prompted that ordinance? I don't think any ZAPCO member knew because it was not addressed. 13) Variance was requested from LTISD for installation of artificial turf on the existing playground at LT Elementary. Although there was a lot of discussion and residents spoke against this variance, it turns out this turf was permeable and no rubber pieces are part of the turf. Variance passed. 14) Variance requested for a sign variance (larger than allowed) for business located at 2303 RR 620 A, Unit 170. Variance was denied. The April 4th Campaign finance reports are online. Here is a link to that page. Scroll down and click on the names - it is interesting reading. One mayoral candidate reported expenses of $26,139.60. That is a LOT of money for a volunteer job. $450 has been contributed to this candidate. Take some time and read through these reports - it is interesting reading. The Police Facility is substantially complete and they are working to get the electronics and 911 facilities up and running. I understand they will move in on or about April 15th. It will allow the police to do the job we pay them to do including interviews in a private room, a training room, detention facilities and forensic investigation. 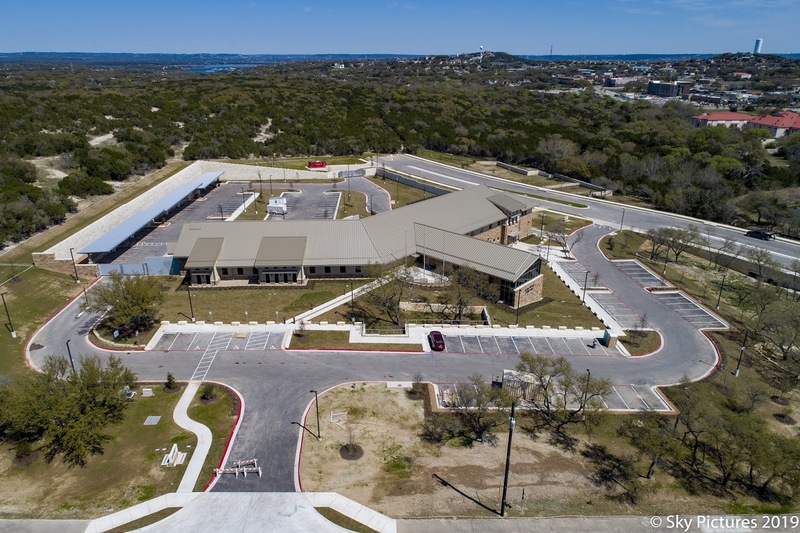 It will be a permanent facility and will accommodate growth through the build out of Lakeway. The facilities they are leaving will house an expanded court system and when I left was planned for offices for Parks and Recreation. There is a Special meeting Monday that will probably address some of the issues of facilities needed due to the growth. Here is a link to that agenda. 3) RFP for a Lakeway City Park Lower Restroom Improvement Project. Looks like they are ready to award this contract. 4) Lakeway Resort and Spa is requesting $20K from the HOT tax fund for advertising. This is what this fund is designed for and is funded completely by taxes on visitors to the area hotels. 5) An easement for access to property across the Bee Creek Sports Complex. 6) An amendment to the election ordinance to true up dates and early voting locations for the May election. Administration, Finance, Solid Waste, Parks & Recreation, Public Works, Building and Development Services, and Municipal Court." 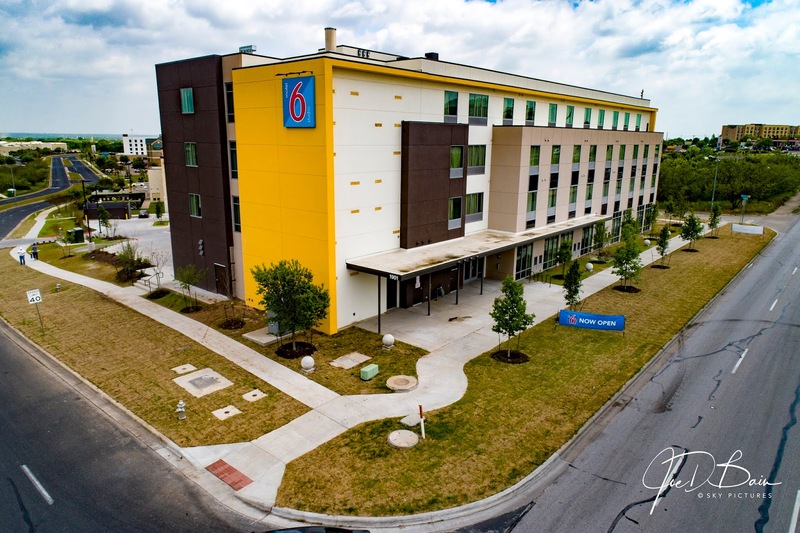 Been doing some pictures out near Bergstrom Airport for the Humble Origins Hospitality Management (HOHM) Group. 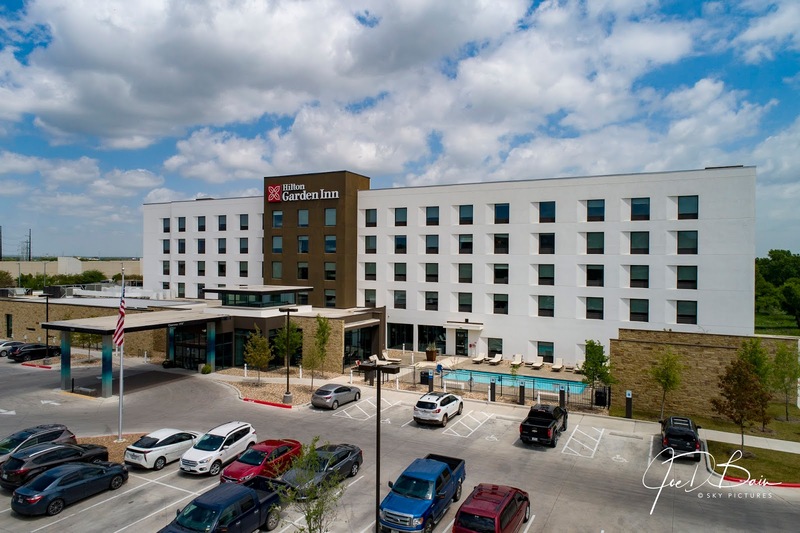 They own several facilities - including the Lakeway Hampton Inn. 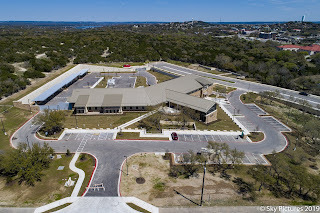 If you need aerial pictures of a business or residential property, please give me an opportunity to do them for you. Here's a link to my website - Sky Pictures . Thank you for those using my service, it is an honor! Thanks again for all the support. If you would like to be added (or removed) from my email list send a note to lakeway@bain.us and I'll get it taken care of. Have a great weekend, look out for the rain (sun's out now) go figure!